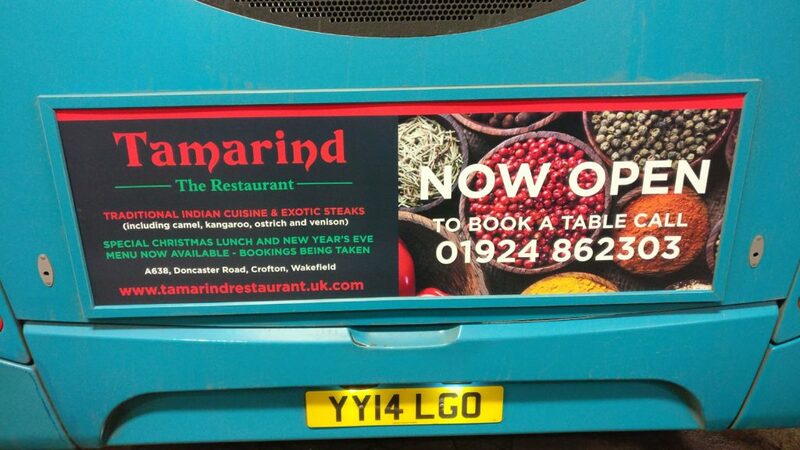 Tamarind Restaurant is a new Indian Restaurant located at Crofton between Wakefield and Doncaster. We produce their initial opening campaign. Due to the location being between the two main towns, we knew the campaign needed to be a strong one. We put forward a media mix consisting of newspaper advertising, local radio advertising and a bus rear advertising. The campaign was booked to run over a 3 month period. The campaign started with a 4 weeks of newspaper advertising in the Wakefield Express with a simple ‘Opening soon’ and ‘Now Open’ message. Halfway through, we started a month long campaign on Ridings FM. (The local radio station for Wakefield and surrounding areas). We then started a 4 week bus rear campaign using 10 buses out of the Wakefield bus depot. 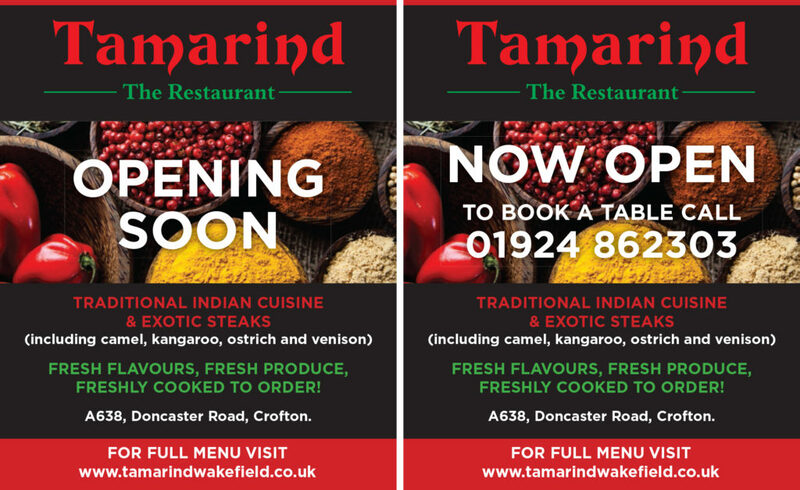 To compliment these campaigns, we also produced a simple website (www.tamarindrestaurant.uk.com) that included their menu to make it as easy as possible for potential customers to find out more about the restaurant. This mix of media helped raise the profile of the restaurant putting it on the radar of the local population.